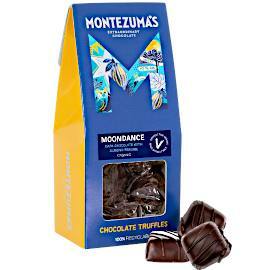 Dark chocolate, vegan and organic, almond praline chocolate truffles; Montezuma's Moondance Chocolate Truffles Bag. 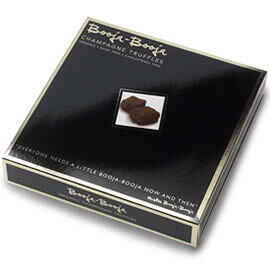 Booja-Booja Around Midnight Espresso Chocolate Truffles, dark chocolate truffles handmade with freshly roasted organic coffee for an intense flavour. 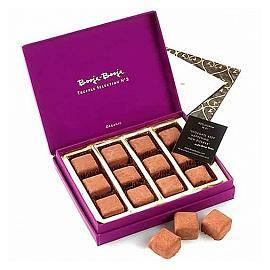 A special edition box of Booja-Booja Fine de Champagne chocolate truffles, The Artist's Collection, dark chocolate truffles in beautifully decorated box. 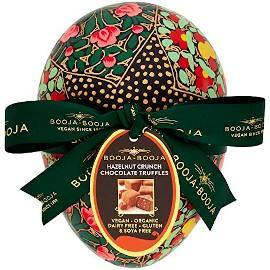 Booja-Booja Large Hazelnut Crunch Chocolate Truffle Easter Egg, show someone how much you care with this intricately decorated egg. 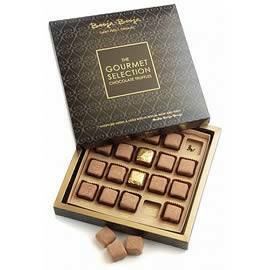 Booja Booja Hazelnut Crunch Chocolate Truffles, rich 56% cocoa Booja Booja chocolate truffle centres packed with roasted hazelnut pieces for added flavour and crunch. 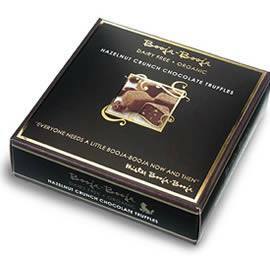 Booja-Booja The Gourmet Selection, a chocolate box of Booja Booja's multi award winning organic chocolate truffles. 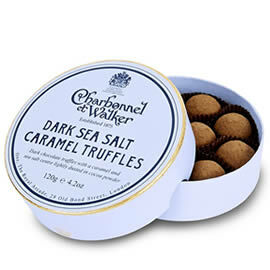 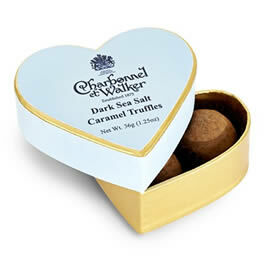 Chocolate Trading Company Superior Selection 12 Dark & Dusted French Truffles. 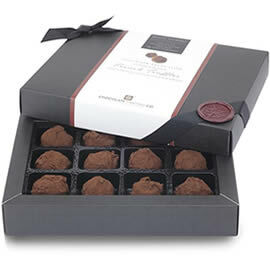 the most authentic and pure French chocolate truffles. 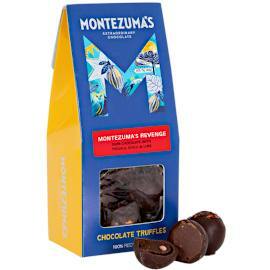 Lime, chilli and tequila blended with dark chocolate, a presented in a ribbon tied bah of dark chocolate truffles; Montezuma's Revenge. 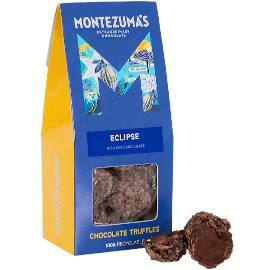 A bag of Montezuma's Eclipse Dark Chocolate Truffles, simple dark chocolate truffles made with just cream and butter. 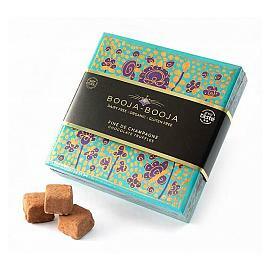 Booja-Booja Fine de Champagne Chocolate Truffles, Fine de Champagne truffles made with 56% smooth dark chocolate and packed with a punch.